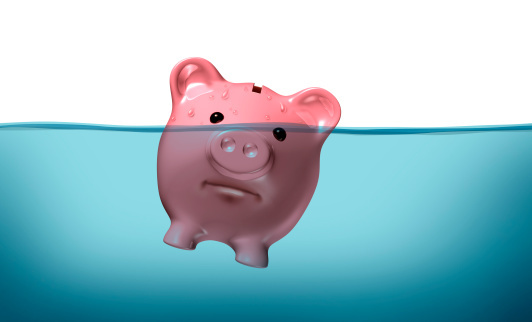 Does Bankruptcy Affect Support Obligations? Support issues are difficult enough when the parties are solvent, but what happens when one of the spouses goes through bankruptcy? Can support obligations be discharged? And on the other side, can the receiving spouse still collect if he or she files for bankruptcy? In short, bankruptcy doesn’t relieve the paying spouse of his or her support obligations. First, support payments are nondischargeable. The Bankruptcy Code explicitly exempts “domestic support obligations,” which include any debt owed to a “spouse, former spouse, or child” in the nature of “alimony, maintenance, or support,” from discharge. 11 USC §§101(14A), 523(a)(5). So the paying spouse can’t get out of support payments simply by filing for bankruptcy. Interest accruing on support obligations is also nondischargeable, so it’s important that the paying spouse stays on top of payments even if he or she is contemplating bankruptcy. In fact, a Chapter 13 petition will be dismissed if the debtor falls too far behind in post-petition support obligations. 11 USC §1307(c)(11). Second, support payments are exempt from the automatic stay. Although an automatic stay is triggered whenever someone files for bankruptcy, support obligations are exempt from its general prohibition against litigation and debt collection activities without prior court approval. 11 USC §362(a). Support obligations also enjoy first-level priority among unsecured claims and will be paid ahead of other debts. 11 USC §507. For a support recipient who files for bankruptcy, the right to receive support is likely property of the bankruptcy estate—at least technically. Spousal support due before the petition is filed is property of the bankruptcy estate. 11 USC §541. As a result, the estate and its creditors may theoretically enforce payment and use the recovered funds to pay for its claims. Although not definitively resolved under California law, child support likely “belongs” to the custodial parent in the bankruptcy context and would also be considered property of the estate. See, e.g., Marriage of Chandler (1997) 60 CA4th 124. The right to future support is similarly muddled, though the fact that California seems to treat support awards as “property” of the holder suggests that it, too, would be property of the bankruptcy estate. CCP §680.290. Both sides should keep in mind that a support award may be modified if a bankruptcy discharge results in a material change in the parties’ economic circumstances. Fam C §3592; Marriage of Clements (1982) 134 CA3d 737 (reducing spousal support when payee’s discharge resulted in payor’s increased obligations). For an in-depth discussion on the interplay between bankruptcy and divorce, including legal and practical considerations, check out CEB’s Practice Under the California Family Code: Dissolution, Legal Separation, and Nullity, chap 22. For guidance on all things support-related, turn to CEB’s California Child and Spousal Support: Establishing, Modifying, and Enforcing. What if the Ex-Spouse Hits the Jackpot? If you are considering bankruptcy and are paying or receiving spousal or child support it is best to speak with a bankruptcy attorney to see how it may effect you and your specific situation. Most bankruptcy attorneys offer a free consultation. Thanks for sharing.